Professional Upholstery cleaning in The Woodlands TX by experienced technicians and top of the line equipment by UCM Upholstery Cleaning. We clean sofas, couches, chairs, sectionals, recliners, ottomans, benches and mattresses using hot water extraction with commercial grade machines. Your upholstery feels tired? Dull? Lost its splendor? Why not call us at 832-220-3399 and have your loved furniture cleaned and refreshed? We'll come to your home in The Woodlands TX free of charge, and provide you with an onsite estimate. We'll also advise on the best ways to clean your furniture, and even your carpets and rugs if you'd like. 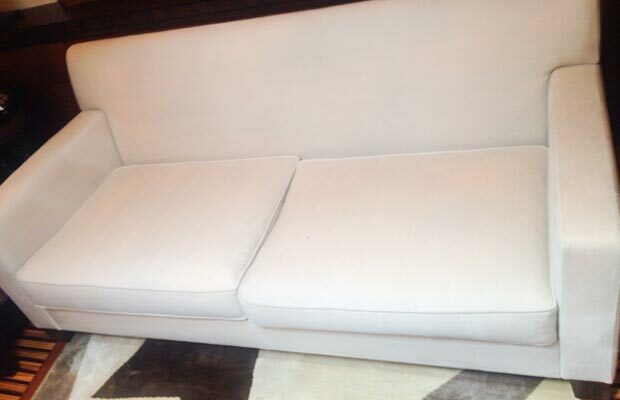 Our techs are skilled professionals with years of upholstery cleaning under their wand. Want a free onsite estimate? Call us at 832-220-3399 or contact UCM Upholstery Cleaning by contact form. In addition to Upholstery cleaning, you probably also need carpet cleaning as well. UCM Upholstery Cleaning offers professional carpet cleaning in The Woodlands, done by professional and experienced techs with top quality cleaning equipment. Our techs will arrive at your location, and provide you the service your carpets truly deserve. Your carpets don't get that much attention, but they really should. Letting you feel good when you walk on it is a hard task, and the carpets will feel even better after we're done cleaning and grooming them. Looking for even more cleaning services? We're your one-stop-shop for each and every one of your residential cleaning needs. We clean furniture, we clean carpets, and we clean rugs. In addition, we also offer additional services to make your furniture and carpets stay cleaner, fresher and stain free. With our help, your home will stay cleaner for longer periods.